VertoStudio VR is a fully-capable 3D modeling studio designed to run entirely in VR! No mirroring or external software is required of any kind. 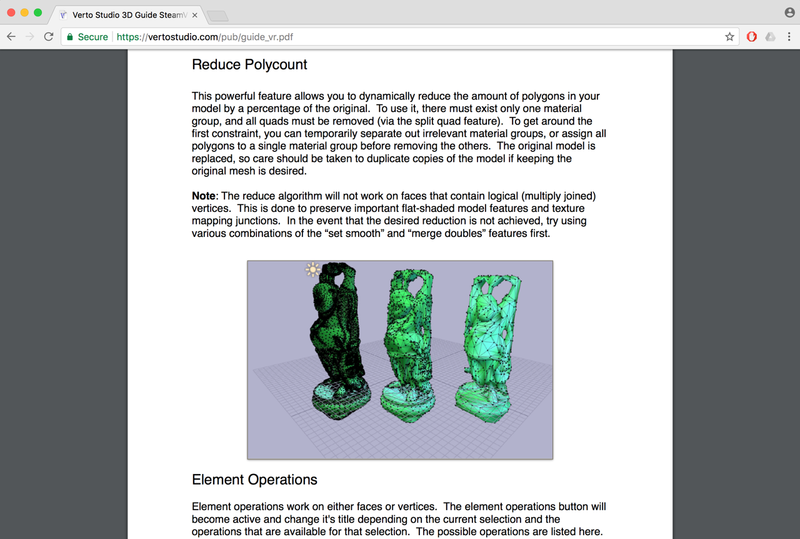 You can use it to import FBX, OBJ, DAE (and more) directly in front of you, then configure every aspect of the visual display of these scenes directly down to the individual polygons. It also supports a full-scale desktop 3D modeling mode that can run at the same time as the VR mode! Verto Studio VR now supports Looking Glass Displays - an exciting new holographic display technology. Click the image on the right for more information! Explore for yourself first-hand just how powerful and feature-packed Verto Studio really is. Take a read through the user-guide and see just about every single feature that Verto Studio VR has. If you're a 3D modeling professional that has a VR headset, you're going to want this technology in your corner. Every editing feature that Verto Studio VR offers, is accessible from Virtual Reality. You can duplicate, subdivide, smooth, extrude, rotate, scale, weld, apply textures, and more! 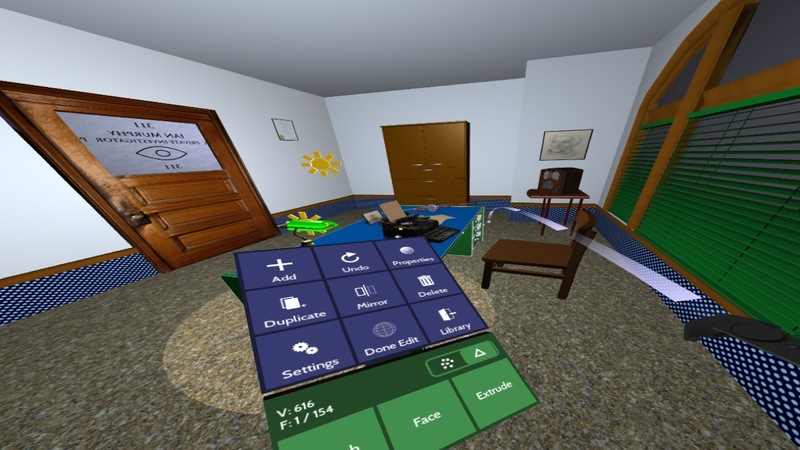 By using the familair VR UI paradigms such as grip-grabbing, teleportation, flying, and ray-targeting, you can quickly get up to speed editing your VR environments with the full control of a desktop editor, but with the added benefit of instantly seeing your changes in front of you in a virtual world. Verto Studio VR has been battle tested against scenes containing millions of polygons. Import your biggest challenge, and interact, edit and scale for VR. The built in polygon-reduction feature allows you to get any model down to VR-performant complexity without having to go back-and-forth between countless desktop 3D modeling tools and your VR environment. 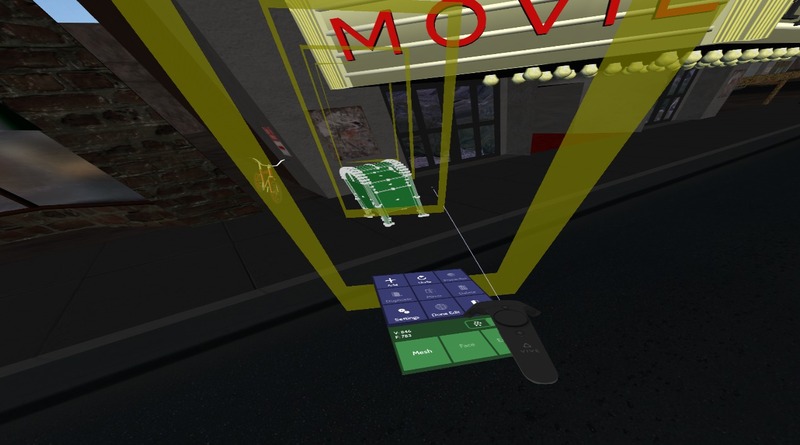 Two-user concurrent desktop-mode and VR feature allows one user to be inside VR while the other user wields the control. 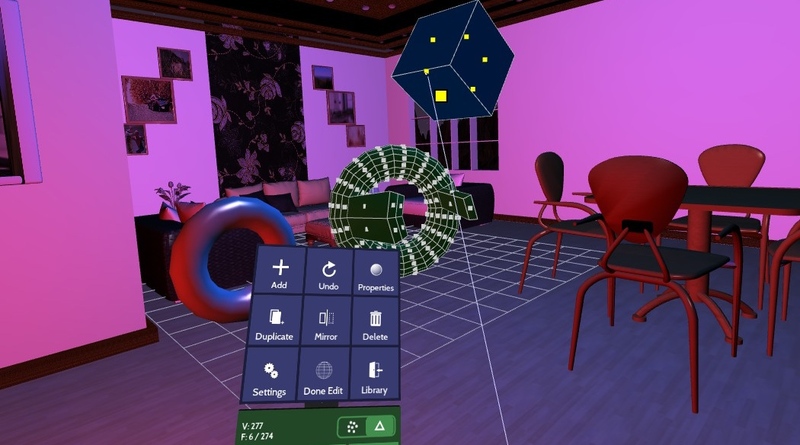 Provide instant feedback to your design team or clients by making changes right in front of them in VR, from the convenience of a familair desktop editing interface. At any point, you can select the VR button to let VR user make changes to the scene as you watch from the desktop. Desktop mode and VR mode can be toggled as many times as you need during an editing session to rapidly iterate and get your VR content creation work done in record time!